Providence St. Mary Medical Center in Walla Walla received an “A” grade for patient safety in the Fall 2014 Hospital Safety Score. The score rates how well hospitals protect patients from errors, injuries and infections. The Hospital Safety Score is compiled under the guidance of the nation’s leading experts on patient safety and is administered by The Leapfrog Group. Providence St. Mary and its affiliate, Kadlec Regional Medical Center, were the only hospitals in a 200 mile radius to receive “A” grades. 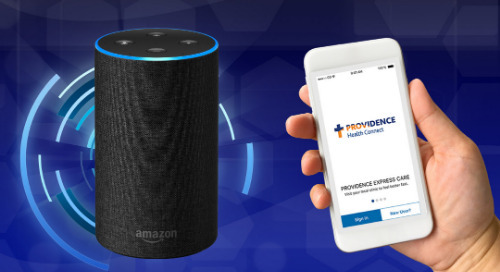 Providence St. Mary consistently scores high on patient safety, and is also rated in the top 5 percent in the nation for safety by another independent agency, Healthgrades. To see Providence St. Mary’s scores compared to other hospitals, visit the Hospital Safety Score website at hospitalsafetyscore.org. The only hospital safety rating to be peer-reviewed in the Journal of Patient Safety, the Score is free to the public and designed to give consumers information they need when considering a hospital stay. “We commend the ‘A’ hospitals, including Providence St. Mary Medical Center, for helping us to raise the standards of health care nationwide, and demonstrating that they’ve made the well-being of patients a top priority,” said Leah Binder, president and CEO of The Leapfrog Group.